about this book: This short book and quick DEEP read, again is a compilation of several posts done on H.R. Phillips blog called - The Heavy Stuff. The widely read posts appeared on multiple websites back in 2007 and lead the reader into considering some STARTLINGLY obvious `facts' about what is reported in many NDE's (near death experiences). 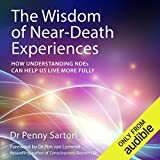 Then, Phillips - who was not raised `religiously', takes his Phenomenology approach to the NDE and proposes TWO suggestions that are seemingly never considered by those who blend NDE's with `religious' visions. Regardless of which of the two visions that Phillips suggests as an explanation for `The Light' (in the tunnel) - the bottom line is that Phillips suggests that `we' as a conscious `space' may have the ability to affect our final moments of `Earth' consciousness with real intentionalities. Indeed, it may be possible to detect which of Phillips' two theories are correct when those moments come for all - which then may lead to some final freewill actions by `yourself'. Like many of Phillips's E-Books - this one is packed with original thinking about esoteric subjects. Quick reads not easily forgotten - or - understood fully with just one reading.